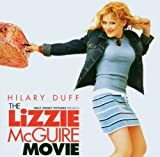 Accueil Produits Bande originale La bande originale de “Lizzie McGuire, le film”. La bande originale de “Lizzie McGuire, le film”. Label : Walt Disney Records. Sortie : 22 avril 2003. 1. Why Not (par Hilary Duff) – 2:59. 2. The Tide Is High (Get the Feeling) (par Atomic Kitten) – 3:22. 3. All Around the World (par Cooler Kids) – 4:12. 4. What Dreams Are Made Of (Ballad Version) (par Yani Gellman et Haylie Duff) – 1:44. 5. Shining Star (par Jump5) – 3:17. 6. Volare (par Vitamin C) – 3:00. 7. Open Your Eyes (To Love) (par LMNT) – 2:29. 8. You Make Me Feel Like a Star (Lizzie Mix) (par The Beu Sisters) – 3:05. 9. Supermodel (par Taylor Dayne) – 3:45. 10. What Dreams Are Made Of (par Hilary Duff) – 4:02. 11. On an Evening in Roma (par Dean Martin) – 2:24. 12. Girl in the Band (par Haylie Duff) – 3:02. 13. Orchestral Suite from The Lizzie McGuire Movie – 7:31. 14. Why Not (McMix) (par Hilary Duff) – 2:50. What dreams are made of. NOTRE CRITIQUE DU FILM ! “Le Roi Lion” : de nouvelles images du film. “Le Roi Lion” : l’affiche japonaise du film. “Aladdin” : nouvelle bande-annonce du film. Notre critique de “Avengers : Endgame”. “Spider-Man : Far from home” : deux nouvelles images du film.